More Signs from Indiana | The Happy Wonderer ~ ellen b. All of these signs were seen on a Sunday along the Heritage Trail in Indiana mostly contained within Elkhart County. 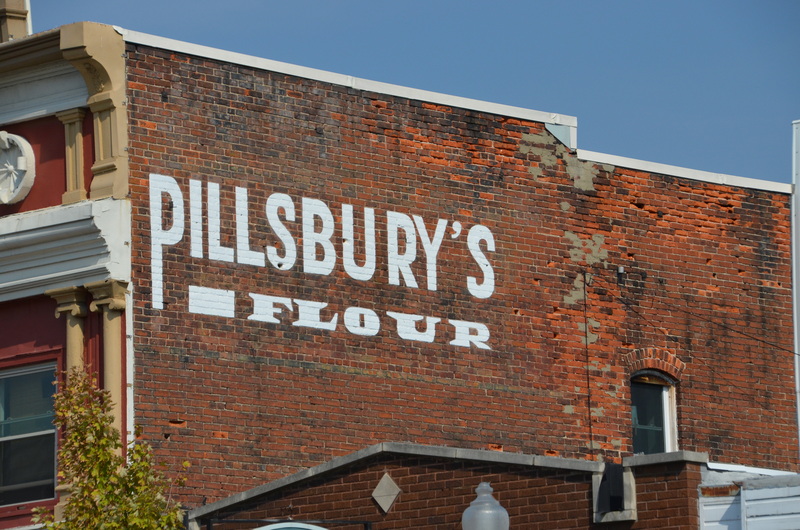 The Pillsbury’s flour sign was in Wakarusa. These last two signs are in Topeka, Indiana just south of Shipshewana next to Yoder Popcorn. There were a few places that would have been fun to explore but were closed on Sunday. Such a wet and drippy day here in the Pacific Northwest. Daughter and I had a fun several hours shopping at the Navy Exchange and Costco with a little lunch in between. 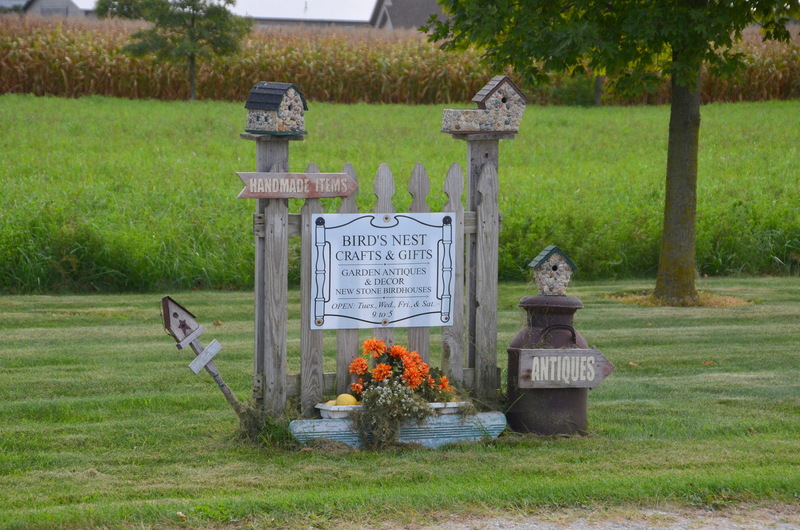 Posted on November 2, 2016 by Ellen •	This entry was posted in Indiana & Ohio, Signs, Travel and tagged Bird's Nest Crafts and Gifts, Elkhart County, Honeyville General Store, The Heritage Trail, Wakarusa Indiana. Bookmark the permalink. Very nice photos/signs. I would love to visit the Bird’s Next store, for sure! Interesting to learn that there is more than just Honeyville, NY. Memories! 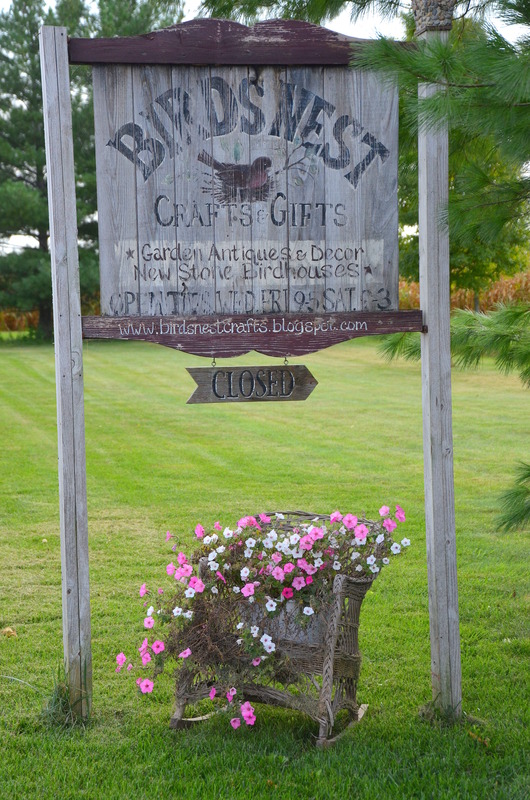 We stayed in an RV park Elkhart for a Month … it was our central location as we toured the area. Well shoot! They were closed. That looks like an interesting shop from their lovely signs. You always select the most interesting things to photograph. 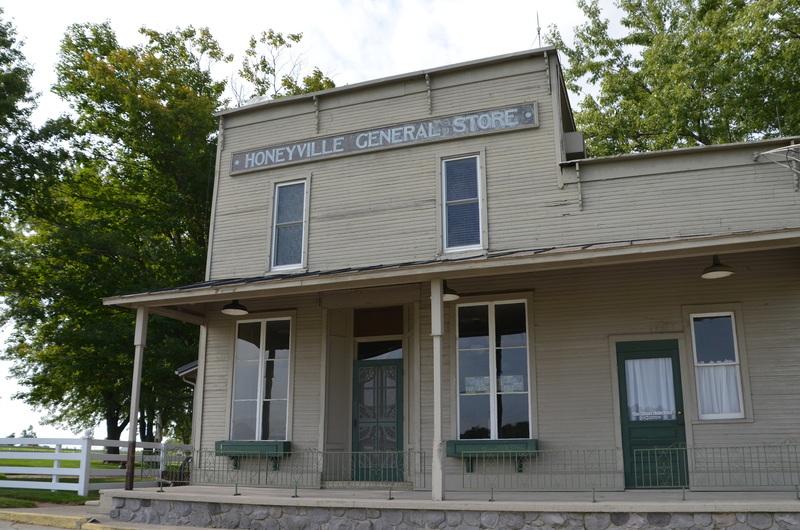 I really like the look of the Honeyville General Store. I love the stones in the foundation and the deck porch. The whole feels really peaceful to me. It’s kind of wonderful to know that “Closed Sundays” still exists! You got some great shots and I would like to check out that store one day! Watching the world series nail biter in the 10th inning – Go Cubs! For some reason little shops like that one are absent around here. I think one has to drive outside of Denver to find them. I love your signs today, good Ellen!